The Haunt Store will feature custom props and items every haunted house, yard haunt, haunted hayride, haunted walk through, corn maze or haunted attraction wants and needs. Please be sure to contact our website at http://www.thehauntstore.com and see all our custom props and items we can custom make for your Haunted House or Halloween Attraction. Please see our special and use our website coupons for special savings. We are a Fog Juice Manufacturer located in Southern California. We not only sell fog juice but also fog machines, fog scent, scent sprays, scent machines, lighting, and so much more. We offer great products at great prices. We are here to help you out with whatever you need even if that is outside of Fog. We know just about everything there is to know Halloween related so even if we can't help you, we'll hook you up with someone who does. 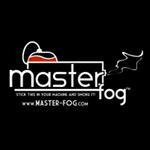 Master Fog LLC simply brings you the finest in theatrical effects fluids! 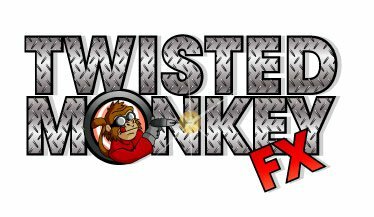 We specialize in a wide variety of fog and haze fluids all at a reasonable price! We take pride in using the healthiest of ingredients, so they are not only safe for your fog machine, but more more importantly safe for you! All of our fluids are proudly made right here in the USA, and use only pharmaceutical grade chemicals all approved by the FDA. We also provide an abundance of fog and haze machines. All Master Fog foggers and hazers come with a 1 year warranty! Fog products and other theatrical fluids that generate an atmosphere of fun and fantasy. Scary Shopping Made Simple. 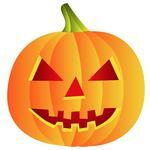 FrightCatalog.com has the scariest and best Halloween props, products, costumes and MORE! Contact marketing@frightcatalog.com for special pricing for haunters and HauntWorld subscribers! Are you looking for all sorts of props and Halloween supplies we got you covered from A to Z from zombies, masks, costumes, haunted props, fog machines, animations, and everything between. Salvin Sound and Lighting is a family operated business that has been a part of the entertainment industry since 1979. Our unique ideas and knowledgeable service has kept us on the cutting edge for the past 28 years. Our client list range from local churches and expands all the way to Euro Disney. We pride ourselves on the fact that we handle all phases of our sound, lighting, club design and special fx services. 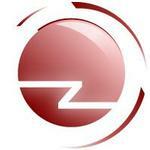 This means we Design, Build, Operate, Train and Warranty all phases of your project. StageSpot is a one-stop shop for all your needs related to theatrical supplies. We carry all major brands of theater lighting and stage lighting supplies. Check out our great prices on stage lighting supplies such as lamps, fixtures, gaff tape, color gels, custom gobos, fog machines, batteries and other theatrical supplies. Rosco is the leading manufacturer of products for the entertainment industry with offices worldwide. Since 1910, Rosco has been manufacturing various products for the entertainment industry, with offices in Connecticut, Los Angeles, Toronto, London, Madrid, São Paulo and Sydney. Light Theatrics has been serving the Event Production Industry for over 20 years. 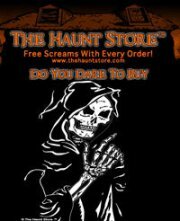 Our online store offers a wide variety of products for all of your haunting needs. From multi outlet extension cables and lighting fixtures to tie line and gaffer tape, Light Theatrics has your production supply needs covered. 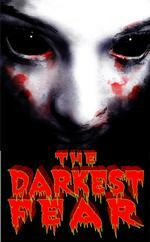 3- The Haunt Store, Inc.